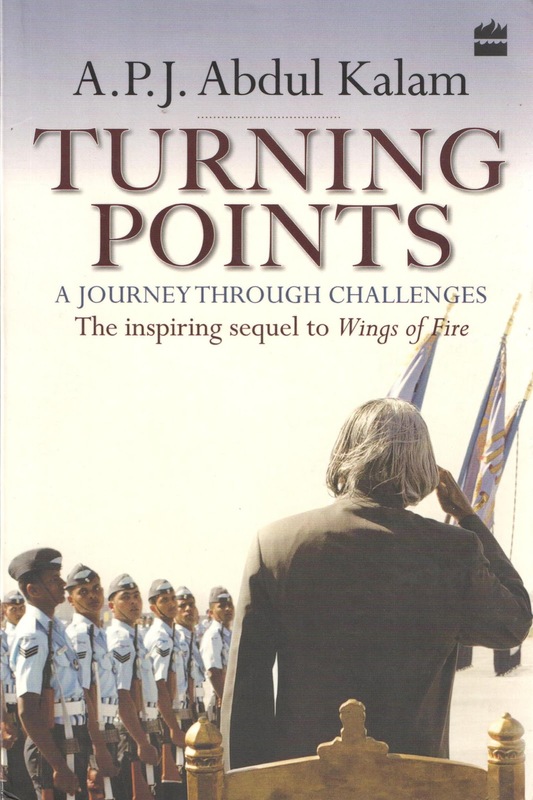 This treatise on the development path to be followed by India is a great work on reminiscences of APJ Abdul Kalam while in and out of the Rashtrapati Bhawan, the highest constitutional post in the Republic of India (President 2002-2007). I remember when he was awarded Bharat Ratna, the highest civilian award, perhaps he was second non-political Indian (after JRD Tata) to have received such an honor. His commitment to the cause of seeing India as a development nation by 2020 is so convincing that one tends to just keep getting moved by his concern, care and concerted efforts. 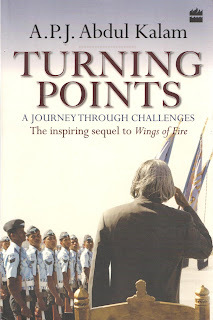 This book is in in continuation of his autobiographical sketch which came earlier with a title Wings of Fire. This is one such book which I finished reading with full attention and engrossment in just one full sitting. Somehow I always had a soft corner for a person in the name of APJ Kalam ever since he proved his scientific calibre as a great practical scientist who had a great sense of humility and who rose from a poor family to a scientist and to the ranks of the highest post of this great second largest nation in population and a largest and most vibrant democracy among all nations. Having seen him twice and heard him in person while his visits to our university at Shillong on the themes of Leadership and Nanotechnology, I always tried to keep track of his activities to the extent possible. I watched on TV when media started talking of his book in the backdrop of two important issues - one Gujarat and another one Sonia Gandhi nominating Manmohan Singh. I acquired this copy through flipkart and carried it through the journey from Guwahati to Bareilly today. Turning Points has 14 chapters apart from preface, acknowledgement, epilogue, afterword, appendices and index. Each chapter starts with a theme and small saying or statement and ends with the summary in one or two sentences. The writing style is biographical and simple and easy to understand. He explains the way he entered to the office of President and the way he moved out of the office as well apart from many initiatives he led, many decisions he took and many interactions he had with all kind of common people from children to farmers, to scientists, to college and university students and teachers, to his staff at the Mughal Garden. The book also prints some 25 odd selected color pictures of Kalam in different actions, moods and attire with different people. I do not know how and when it all happened in particular that I started admiring this great visionary. Even this time I wished it was he who could have come to the position of President and at least maintained and spearheaded his own efforts which he initiated on his earlier tenure as the President of India specially on few areas of development viz., science and technology, education, and PURA. I never knew that he is also not very comfortable with the concept of GDP as a measure of development which I learn from this book. Though he maintains his praise for economic growth. I have always been saying and questioning the development path which prioritises GDP or economic growth over human well-being. He talks of National Prosperity Index (NPI) which should be initiated to look at the national resources and their use. He says that NPI is a summation of annual growth rate of GDP, improvement in quality of life of the people, particularly those living below the poverty line; and the adoption of a value system derived from our civilizational heritage in every walk of life which is unique to India. It should also take into account various well-being indicators. The richness of Indian ethos and human values needs to be spread all through the nation. He narrates about his concept of PURA (Providing Urban amenities to Rural Areas) in this book and at many places mentions that his concept is already in practice in many parts of the country and he is working on this as well. I too strongly feel that until we get back to villages and develop them through creating good infrastructure there, the balanced growth would never happen in India. India still lives in villages. We need to have strategies in place in mission mode for rural focus - on agricultural planning, marketing, community development, village education etc. Of course it has to all start at individual level and that is where Kalam has been quite successful in enthusing that energy in the young minds of India. One thing that really I liked about the book is that he was throughout been positive about all the events individuals, places etc though we do know that there have been instances of differences of opinion, criticism and embarrassment to the office of the President during his tenure. He does mention them with positive perspective. His priority of nation over his own conscience is a great example which he has very nicely elaborated and defended. His religious beliefs and faith demonstrates his strengths. His sense of humility is just uncommon one such example is reflected through his conversation with Air Marshal Manekshaw and further following his suggestion. I wish that Kalam's dream of seeing India as a developed nation by 2020 comes true. Of course looking at present India it seems a herculean task, but nothing is impossible in this world and at times miracles do happen.